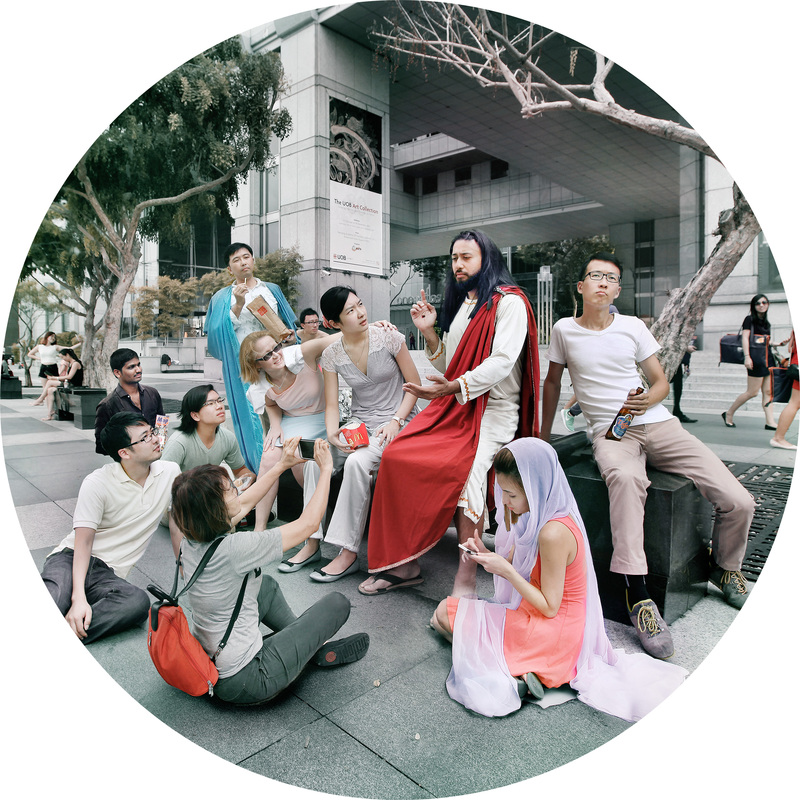 The Second Coming is an imaginative exploration into the question: what if Jesus chose present-day Singapore as the land of his return? 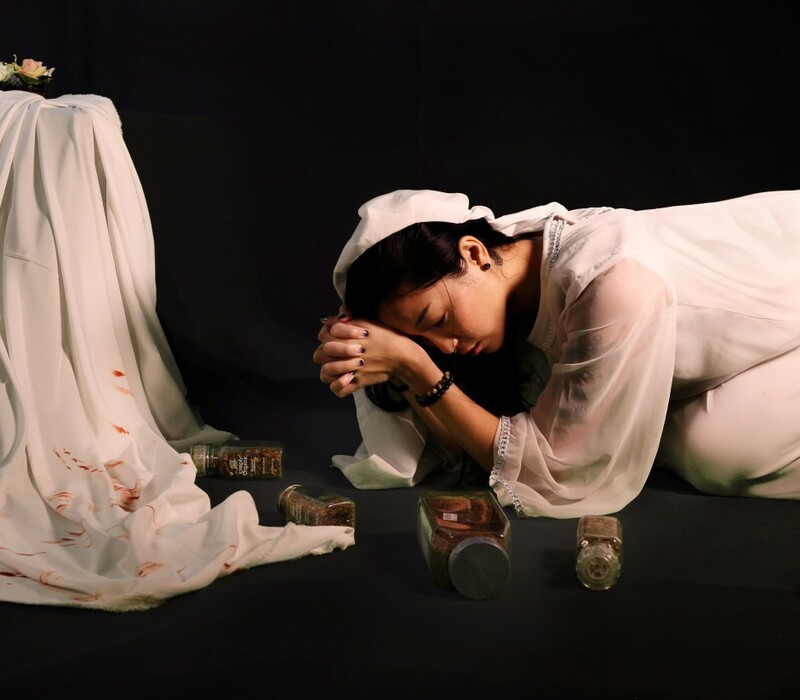 Referencing both prophetic and historical scenes recorded in the Bible, Eugene Soh updates the narratives surrounding the life and death of Jesus, whilst presenting his own meditations on the nature of religion and faith. 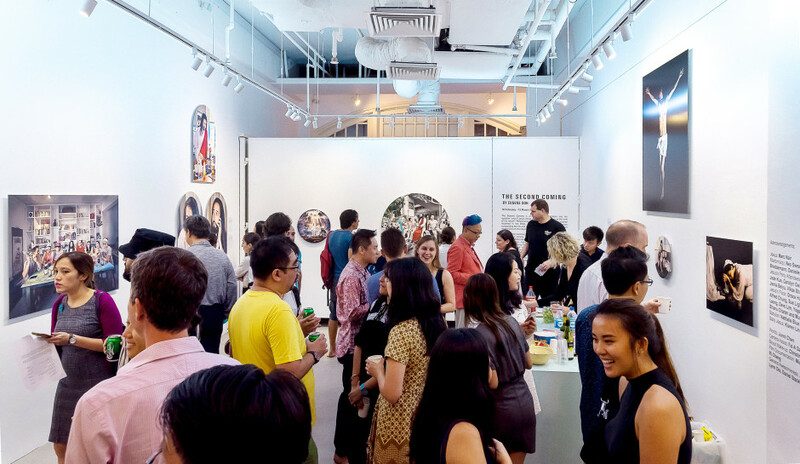 This exhibition explores the dynamics behind how religion is made meaningful in society. Founded on the understanding that the events in the Bible are not significant in and of themselves; rather, events draw their significance from their representation in the Bible. By re-creating these events photographically, this collection of images engage in re-presentation, commenting on the fluid nature of how these Biblical events and prophecies can be understood. This exhibition further invites audiences to explore the text of the Bible as one that is comprised of multiple versions of histories, viewpoints, and voices, raising the ultimate question about the nature of religion and faith. Jesus second descent here on Earth was quickly captured by many residents of Singapore. As the image circulates worldwide through various media channels, this photograph becomes the classic symbol of hope for a better world. The exact location that Jesus descended upon is listed as Jalan Kembangan, Singapore. 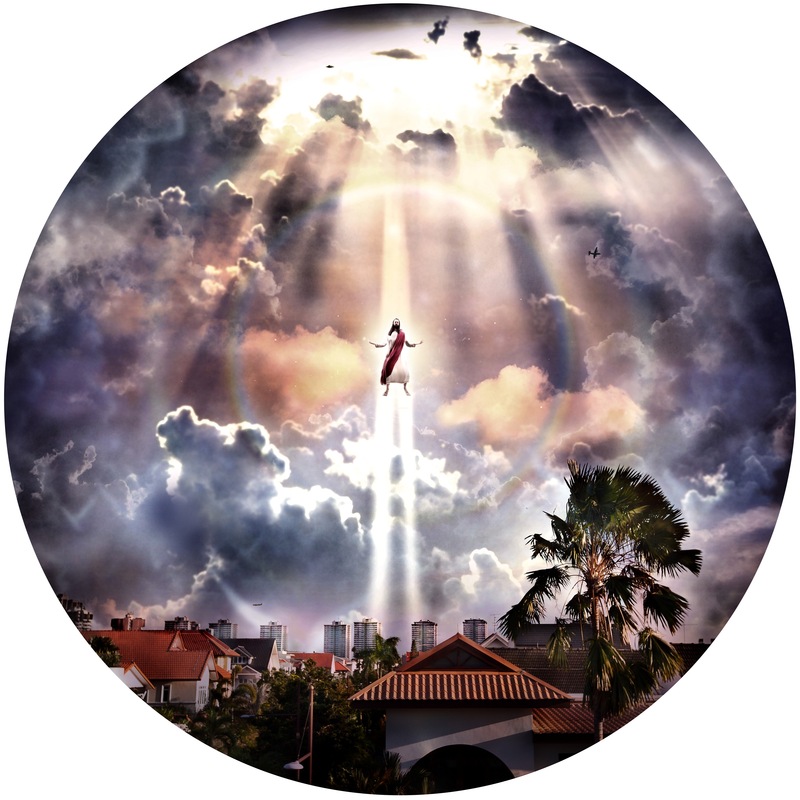 While there is a lot of speculation as to why Jesus chose that area for his second coming, one of the most popular explanations is that Kembangan means ‘expansion’ in Malay, alluding to the expansion of Jesus’ influence. During his second time here on Earth, Jesus attracted a following of people in Singapore. He co-ordinated the creation of a new Bible, which integrated videos and photos of his lunchtime sermons with the written word. 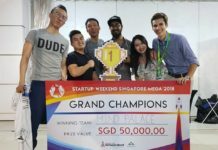 The new Bible was made accessible over the Internet; however, many disbelievers (mostly comprised of people from other countries who did not have the chance to view Christ in the flesh) decried the Bible as a falsehood, claiming that it was an effort on the part of Singapore’s tourism authorities. Amidst the controversy, Jesus’ followers continually reaffirmed their faith online, displaying their solidarity. 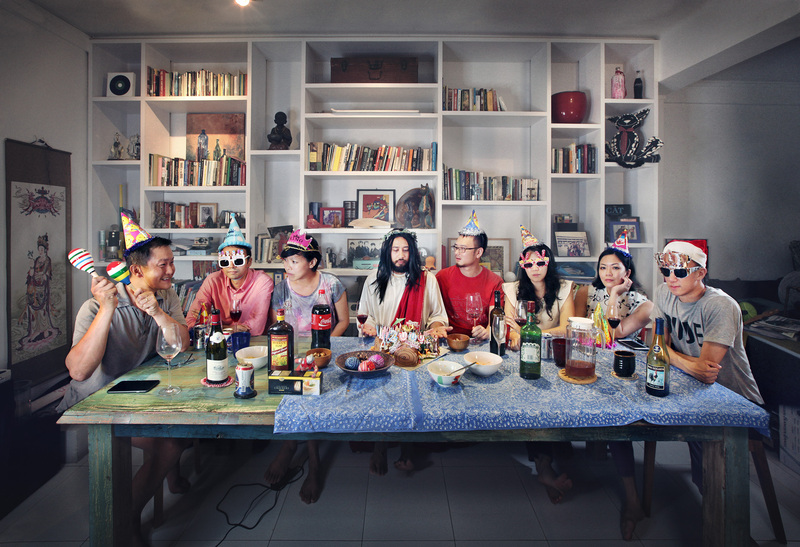 For his last birthday celebration on Earth, Jesus opted to celebrate in one of his followers’ flats at Tiong Bahru. During the celebration, he announced the Earth’s impending destruction, prompting a myriad of reactions from the followers gathered around the table. Jesus reminded his followers that Revelations had predicted the coming of the apocalypse after Jesus’ second return to Earth. The number of people to be saved is listed as 144,000 in Revelations. Jesus’ announcement was kept within this circle for three days before the news was released to the wider public, where it was met with skepticism and disbelief. 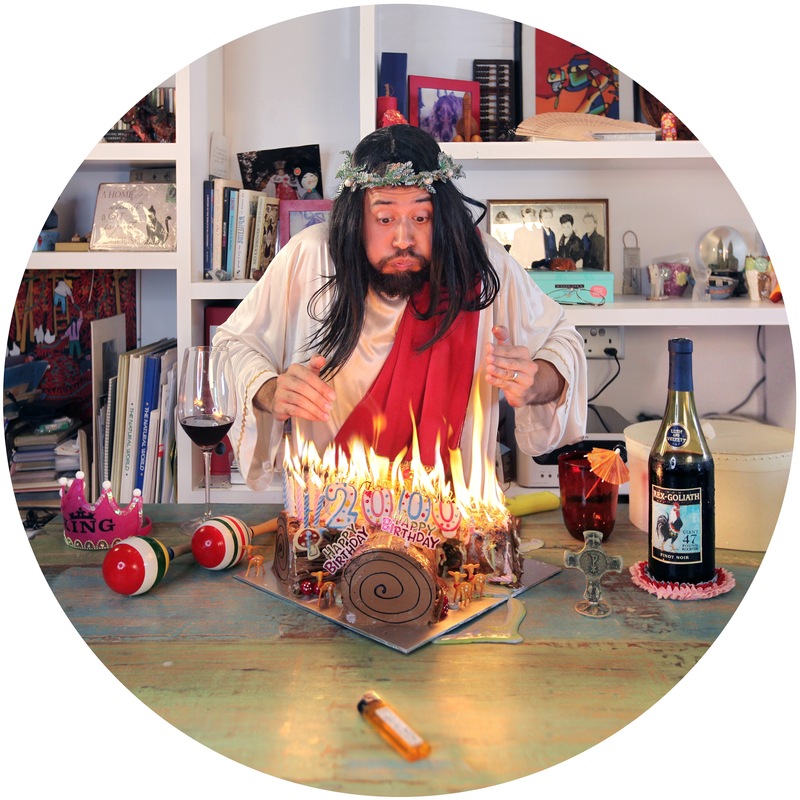 The popularity of Jesus’ birthday is a recent phenomenon that had only occurred in the past 200 years; in the book Christmas in America, Restad notes that the traditions that we associate with celebrating the season, such as card-giving and tree-decorating, only developed in the 19th century. Moreover, the meanings of Christmas have also shifted somewhat, with the conflicting values of charity and consumption co-existing next to one another. Although Jesus was known to have despised commercial activity in consecrated contexts, his reactions towards Christmas celebrations are not known. 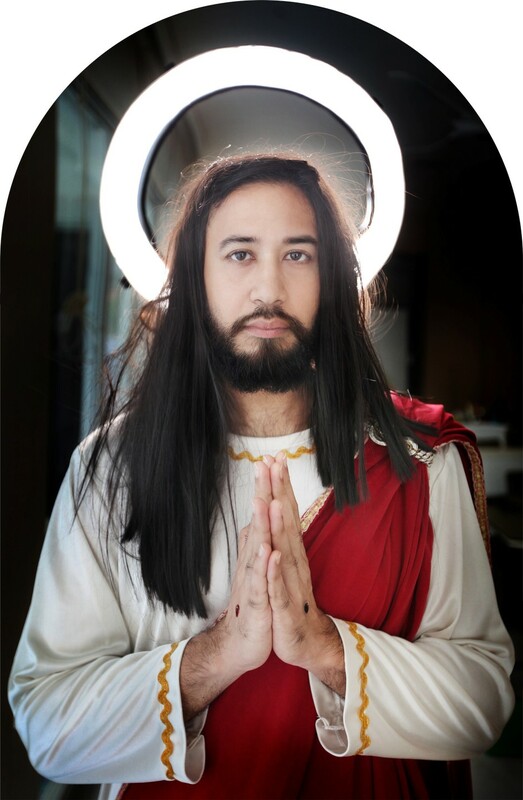 During his time on Earth, Jesus’ ministry released a press kit used to announce his official return to Earth, as well as his new ministry’s organizational manifesto. The accompanying photograph of Jesus used was described as a centre-front pose, with an expression of benevolence and gentleness. This pose was decided upon in consultation with his public relations team, who had advised him that these qualities were what the current generation needed. This photograph quickly replaced the old image of the crucifix in standard households. The original press release document has been put on view at the newly constructed Ministry of Christ Museum, in Paya Lebar. Although his propensity for insulting his hosts and calling them “hypocrites” is well-documented in the New Testament, Jesus’ Second Coming was also similarly marked by invitations to peoples’ houses, since they were interested in the messages he would deliver to them. 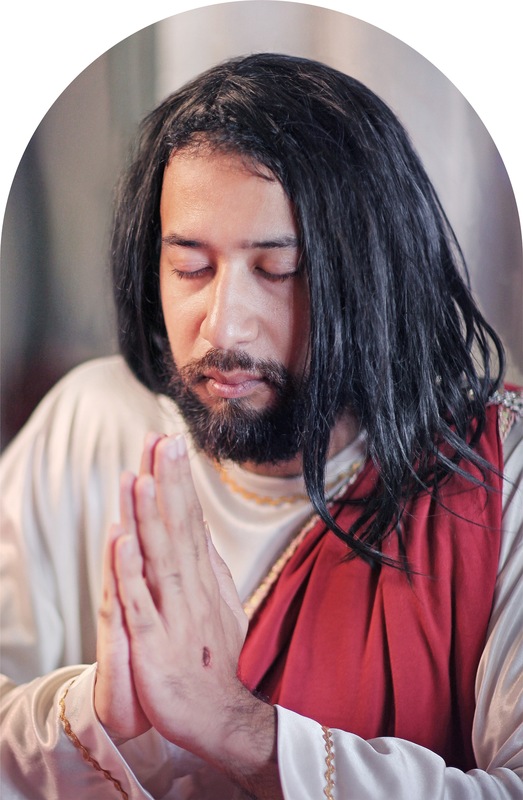 Jesus was invited to dine at the houses of various ministers, media celebrities, and board executives. One of the people who invited him to dine was Eugene Soh. 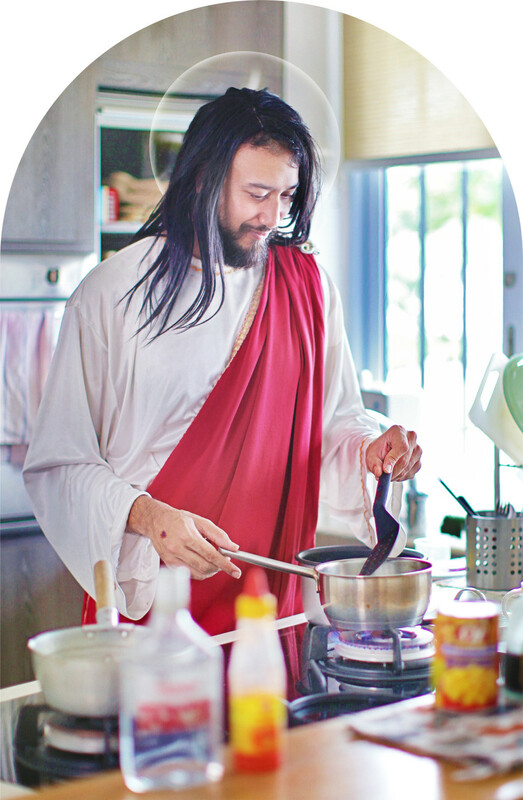 Jesus is depicted here helping Eugene with food preparation in his house; out of that meeting came the inspiration to document Jesus’ time on Earth through photography. 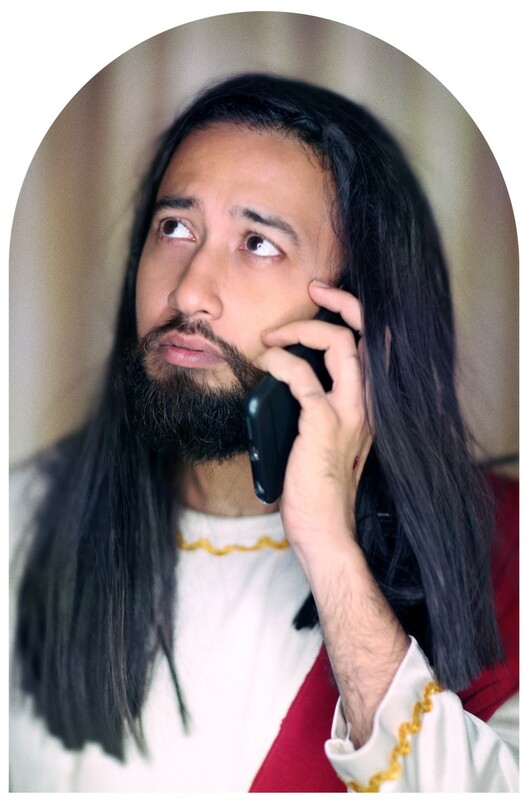 Jesus adopted new technology quickly, since it is not the first tablet he has used. While online records by his followers stated that his phone model was an iPhone 6S, it remains unclear as to where, or how, he managed to get the smartphone. Some records state that it was a present from one of his followers; other followers have contested that view, stating that it was bought with a fund set up specially for the express purpose of getting Jesus a smartphone. Having a smartphone, however, came with its attendant worries: one of Jesus’ tests was the incessant ringing of his phone, mostly from followers asking for advice. Jesus is depicted here as praying to his Father in Heaven. Existing in a Holy Trinity, consisting of Father, Son, and Holy Spirit, Jesus shares a special relationship with his Father. Although Jesus was also God, interpreters of the New Testament explain that on Earth, Jesus had to become a human being. Explanations for why Jesus prayed point to Jesus’ role as a Son, dependent on God for power, as well as an intercessor for people on Earth. Iesus Nazarenus, Rex Iudaeorum (INRI) means ‘Jesus of Nazareth, King of the Jews’. Jesus’ cross bore a sign that was nailed above Jesus near the head of the cross during his first time on Earth. In the context of the crucifixion, the notice served to display the name of the person crucified, along with his crime. In this case, Jesus’ crime was to be the ‘King of the Jews’. At the moment of his death, the New Testament records a show of events: lightning, proceeded by thunder, along with earthquakes and the scene of a curtain tearing were listed amongst the effects visualized by the people. In 1499, Michelangelo created the sculpture called Pietà (Pity). Housed in the St. Peter’s Basilica in Vatican City, this sculpture would become part of the Michelangelo’s canon of works, photographed countless of times over the years. 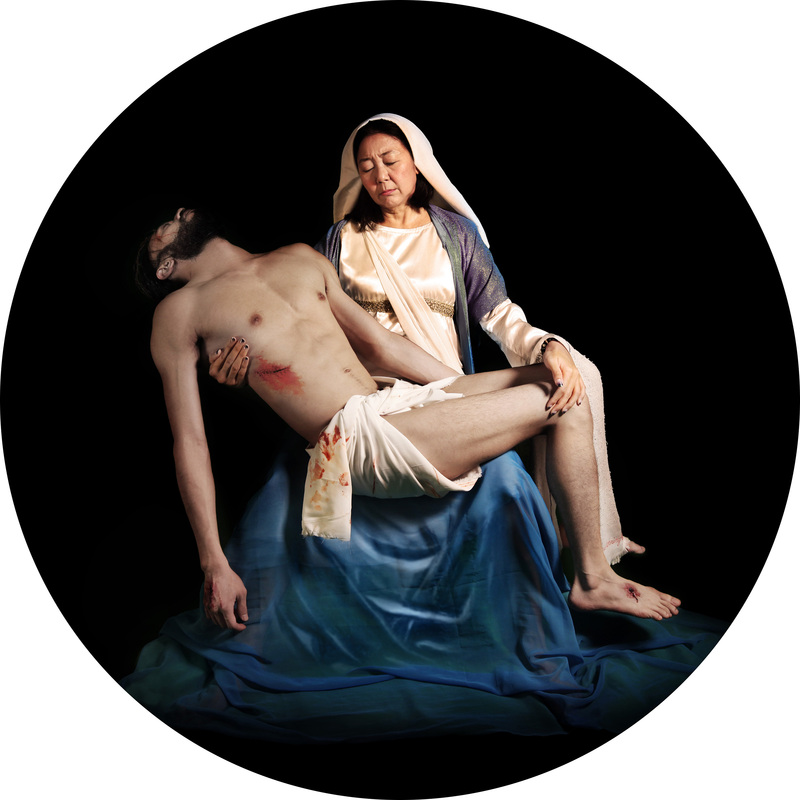 Although not based on any scene in the New Testament, Pietà is seen to depict the sorrow of Mary after having to witness the sacrifice of her first born child. Abraham, however, did not have to. During Jesus’ original appearance on Earth, members of his hometown doubted his claims that he was the Son of God. They had understood him not as an almighty, all-powerful being capable of bestowing salvation, but rather, as a child who had grown up in their midst. A figure of dependence, without any mention of supernatural ability, Jesus would later grow up to leave his hometown and proclaim himself the Son of God who had come to redeem the world of their sins. While classic imagery of Madonna and Child usually highlights the nurturing spirit of Mother Mary, the dependent nature of Baby Jesus is also revealed here. Classical masterpieces often depict the Madonna dressed in flowing blue robes, against a backdrop of mountains crested by open sky. 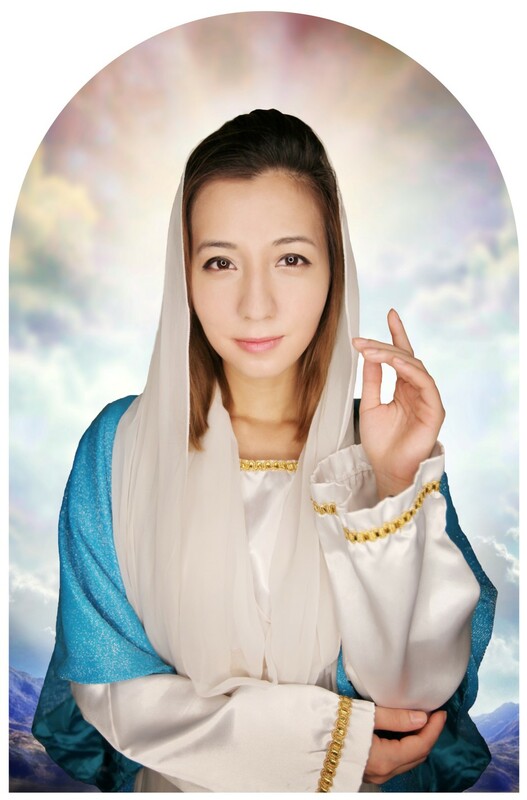 The maternal figure is often important in most world religions; most versions of Buddhism, for example, venerate Guan Yin, who is often portrayed as an omnipresent mother who hears the cries of suffering from the people of the Earth. 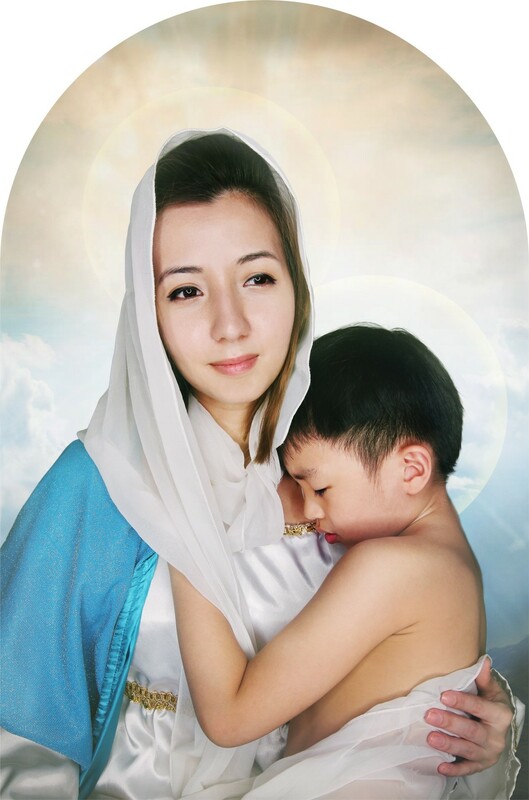 This 2015 rendition of Mother Mary follows such orthodox iconography, with Mother Mary portrayed as a woman embodying kindness, grace, and understanding. There are disputes over how the disappearance of the body was first discovered during Jesus’ first time on Earth. Generally, the four gospels agree that Mary Magdalene was the first person who discovered the disappearance while bringing prepared spices to the tomb. However, in Matthew, she is recorded as seeing an angel who rolled the stone of the tomb away, whereas in all other three gospels, Mary is recorded as seeing the stone as already being rolled aside, revealing an empty tomb. After venturing into the tomb, Mary was then approached by men in shining white robes, causing her to fall on her face. 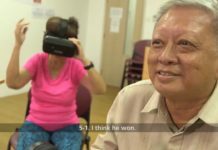 Bible scholars from Jesus’ new ministry in Singapore have attributed the discrepancies to the trauma of the event, which may have caused inaccuracies in recording. Babylon, or the Great Prostitute, sits on a scarlet beast, dressed in purple and scarlet and holding a golden cup filled with the filth of her abominations. Babylon appeared to John of Patmos in a vision, when an angel brought him to the wilderness where the Great Prostitute was. During the time when Revelations was written, John was living in exile on the Greek island of Patmos. According to him, he was under persecution for his religious beliefs. It was on this Greek island where John received his revelations and began recording them. Due to John’s depictions of Babylon, she is now known as the “Mother of Abominations”. *It is my third official solo show but it is my second one at this particular venue (Chan Hampe Galleries). I like specify the “2nd” because it goes with the title and theme of my show!